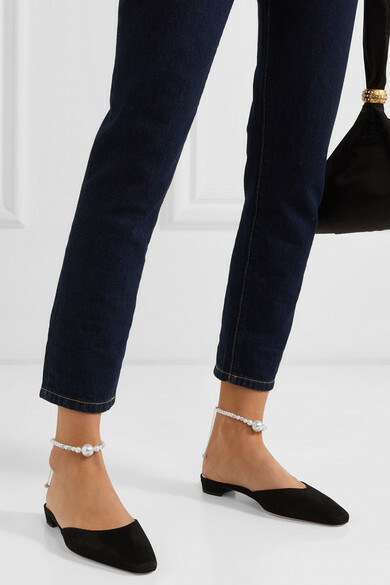 If you've bought into Spring '19's barely-there sandal trend, then Magda Butrym's anklets are perfect for adding glamour for dressier occasions. 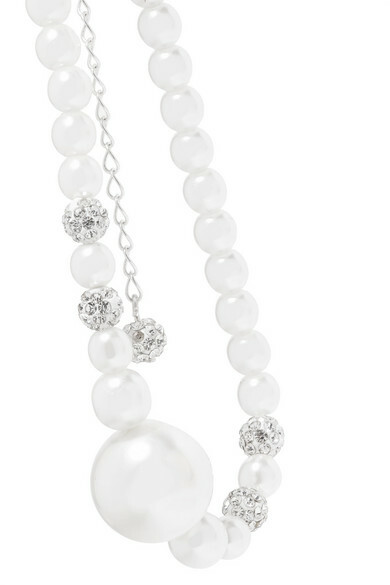 This set of two is strung with lustrous faux pearls and faceted crystals. The designer likes styling them with her 'Greece' slippers. Shown here with: Current/Elliott Jeans, BY FAR Clutch.